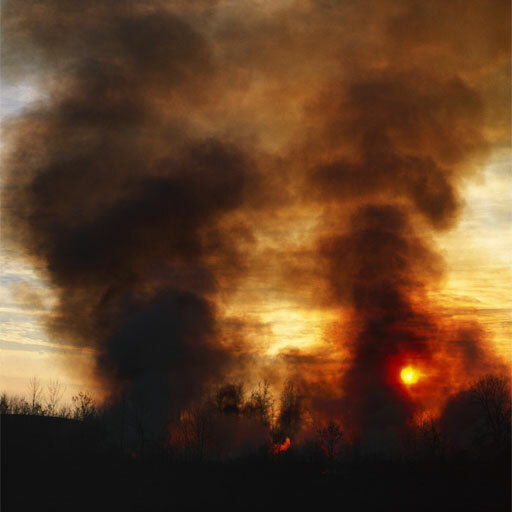 Home // About Us // News // What are the best ways to burn (or not) a forest? What are the best ways to burn (or not) a forest? Jack pines, which are common in parts of the northern Great Lakes, need fire to thrive. So does the rare and endangered Kirtland’s warbler, which nests only in burned or otherwise disturbed young jack pine stands in a handful of locations in Michigan, Wisconsin, and Ontario -- and nowhere else on Earth. Both are part of the same "fire-dependent ecosystem," a type of biological community that needs occasional fires in order to persist. And both and more should benefit from a new federal project based at The Ohio State University in partnership with The U.S. Fish and Wildlife Service and The U.S. Forest Service’s Northern Research Station. The Lake States Fire Science Consortium, a knowledge exchange network, has been started to connect scientists who study fire-dependent forest ecosystems and how to manage them with the managers who do the managing. The program's geographic focus, the Great Lakes region, includes parts of New York, Ohio, Michigan, Illinois, Wisconsin, Indiana, Minnesota, and Pennsylvania and parts of Ontario and Manitoba in Canada. The idea is "to ensure that the best available science is actually available to managers," said Charles Goebel, the consortium’s program director and a forest ecologist in the School of Environment and Natural Resources. It's also "an effort to develop and enhance collaborative ties between managers and scientists, and to identify and respond to any knowledge gaps," said Goebel, who is based on OARDC's Wooster campus. Land managers sometimes use fire -- in the form of relatively cool, carefully controlled "prescribed" fires -- to improve wildlife habitat, to conserve or restore native plants, or to burn off brush and built-up fuels to limit wildfires. But sometimes other methods, such as thinning or clearcutting a forest, can achieve a similar end. "Implicit in the consortium is that we're neutral," Goebel said. "Our goal is not to promote the use of fire one way or the other. Our goal is to make sure, if you're a land manager interested in using fire, that you can find the information you need to make a decision with the best available science."